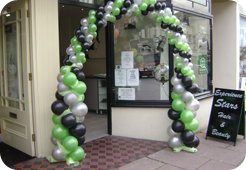 Mad Expectations can provide everything from fantastic themed balloon displays to understated and elegant balloon arches for all corporate events. Party decorations are a great and cost effective way to transform your venue and make your corporate party an event to remember. Our team work around our client's corporate event ideas to find the right party decorations to ensure that your venue decorations work with the party theme as well as promote and enhance your company's corporate image. 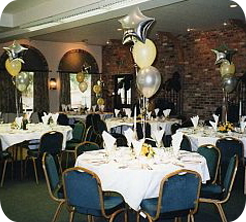 With our party decorating services, we can make corporate event planning easy by delivering and setting up your party decorations and supplies. We also have helium canisters available for hire.